This area will be expanding during 2006 as most of the Seminars and Course modules will be converted into books, and e-books. this is 424 pages of practical and pragmatic information regarding Marketing as a whole - but majoring on Marketing Communications. 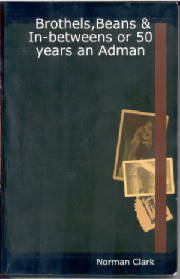 Style Paperback, size 9" x 6"
Simply type in Norman Clark in the search box areas. Review copies are available to legitimate media. These are my memoirs of over 50 years in Marketing Communications and cover the countries I have worked in - plus the reflections of the times and places. The mistakes I have made, the fun I have had - and the people I have met. 320 pages! Paperback 9" x 6" format. 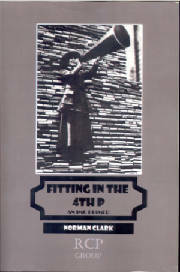 Published in 1999 and forming part of the updated 'Fitting in the 4th P' I have about 200 of these items left in stock. Paperback, 9" x 6" these can be ordered direct from me for only 3.00 euros plus postage to wherever you are. Payment can be made via Paypal. Contact me directly through the link to get postage rates.